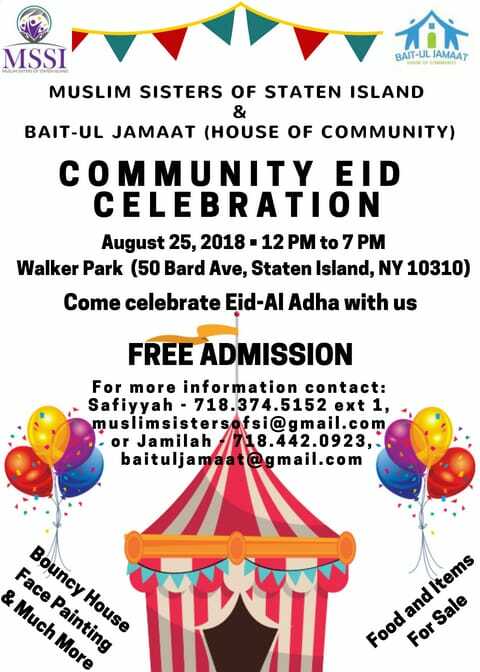 Muslim Sisters of Staten Island and Baitul Jamaat have teamed up to host an Eid ul Adha Celebration for the community. There will be free games and activities for all, delicious food and drinks for sale, along with a mini-bazaar with a variety of items for you to choose from. 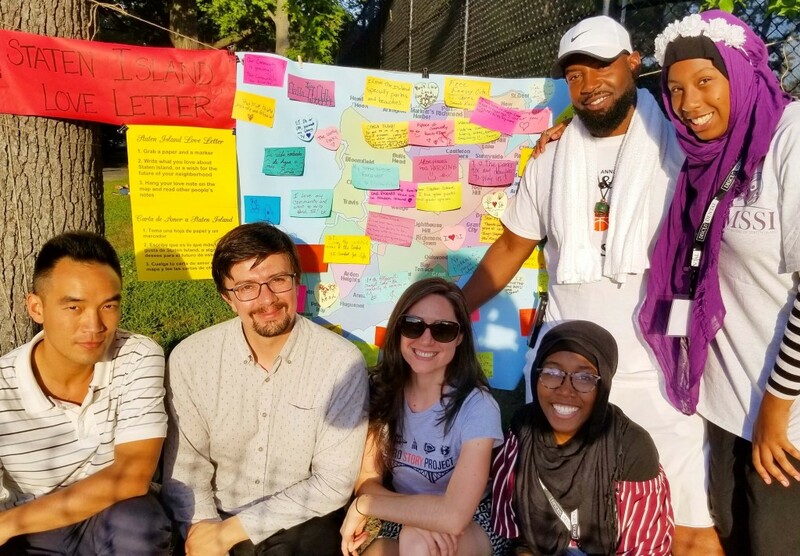 Throughout the festival from 2:00-6:00pm our Staten Island Love Letter station will provide a space to express your love, pride, concerns and hopes for Staten Island and add it to a borough map. View photos from our “Staten Island Love Letter” activity HERE.